When would Dusk2Dawn be an appropriate power solution? 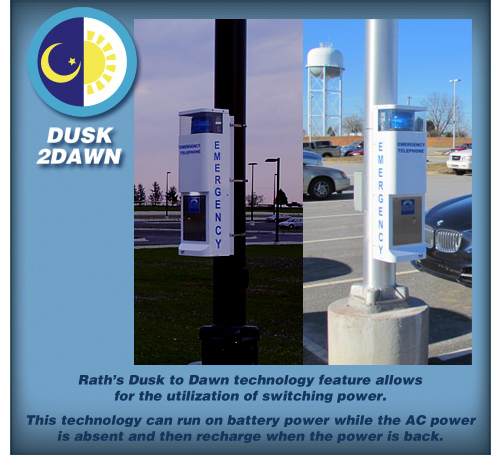 Rath's Dusk2Dawn Technology feature allows for the utilization of intermittent power that is controlled by a timer or photocell. The technology can run on a battery power while the AC power is absent and recharge when the power is available.